Seishin Shuyo – Free in Return for a Honest Review! Review Saint Books – Free Nonfiction Book in return for an honest Review! Author KibetPosted on February 22, 2018 Categories UncategorizedLeave a comment on Seishin Shuyo – Free in Return for a Honest Review! Get Free Inspirational Books in Return for a Honest Review! *I Prophesy: A Weekly Devotional by Major Daughter. Price: Free. Genre: Prophecies Book of the Day, Sponsor, Christian Living, Nonfiction. Rated: 5 stars on 4 Reviews. 258 pages. ASIN: B0774VZ9BD. ISBN: 1977581773. If you like the book, please leave a review. Thank You! *Prophetic Word Bank: Every War Starts With Words by Major Daughter. Price: Free. Genre: Prophecies Book of the Day, Sponsor, Christian Living, Nonfiction. Rated: 5 stars on 3 Reviews. 163 pages. ASIN: B0774XDNFC. If you like the book, please leave a review. Thank You! Author KibetPosted on February 1, 2018 Categories UncategorizedLeave a comment on Get Free Inspirational Books in Return for a Honest Review! Get a Free Nonfiction Book in Return for a Review! 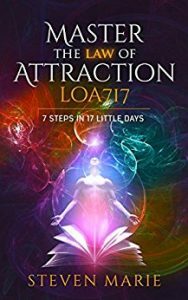 *LoA717 – Master the Law of Attraction by Steven Marie. Price is: Free. Genres are: Manifestation book of the Day, Sponsor, Law of Attraction, Nonfiction, Personal Growth, Spirituality. 17 Days of the Law of Attraction!. Please Note: Reviewer has made this book free in return for a honest review. Please download it only if you have an intention to leave a review. Thank you. Author KibetPosted on January 20, 2018 Categories UncategorizedLeave a comment on Get a Free Nonfiction Book in Return for a Review! Get a Free Dating Advice Book in Return for a Review! Flirt Her Up – A Book Designed to Help Thousands of Men Build their Confidence with Women! *Flirt Her Up: How to Use the Power of Words and Witty Conversation to Attract, Interact and Connect with Women in Any Setting (Dating Advice For Men) by Stella Belmar. Price: Free. Genre: Nonfiction Book of the Day, Sponsor, Dating Tips for Men. Rated: 5 stars on 3 Reviews. 95 pages. ASIN: B072Q23Q9J. Smart tips on how to date effectively. Please leave a honest review after reading it. Author KibetPosted on September 5, 2017 Categories UncategorizedLeave a comment on Get a Free Dating Advice Book in Return for a Review! Get Free Excellent Nonfiction Books in Return for a Review! Get Free Nonfiction Books in Return for a Honest Review! *What Would a Muslim Say: Conversations, Questions, and Answers About Islam by Ahmed Lotfy Rashed. Price: Free. Genre: Nonfiction of the Day, Sponsor, Islam. Rated: 4 stars on 22 Reviews. 158 pages. ASIN: B01N7V28AK. Free in return for a Review! Author KibetPosted on August 9, 2017 August 14, 2017 Categories UncategorizedLeave a comment on Get Free Excellent Nonfiction Books in Return for a Review! Get a Free Health Summary Book for Reviewing! Review Saint 16th Edition is Out! Get a Free Book in Return for a Honest Review! Free Health Book Summary for Review! 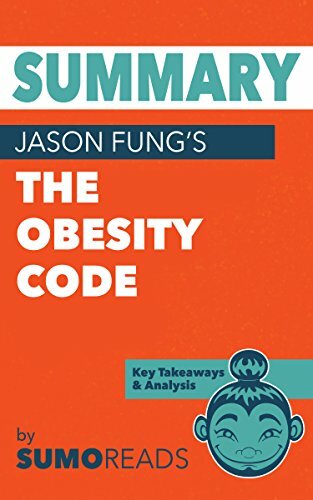 *Summary of Jason Fung’s The Obesity Code: Key Takeaways & Analysis by SUMOREADS. Price: Free. Genre: Health Book Summary of the Day, Sponsor. Rated: 5 stars on 2 Reviews. 34 pages. ASIN: B0725THGN2. Please Note: Free in Return for a Honest Review. Once you are done reading, please say what you think about the book on its Kindle Store page. *Summary of Mel Robbins’ The Five Second Rule: Key Takeaways & Analysis (PDF Format) by SUMOREADS. Price is: Free in Return for a Review. Genres are: Mel Robin’s Summary Book of the Day, Sponsor, Nonfiction. Rated: 5 stars on 1 Reviews. 24 pages. ASIN: B072617V82. Please Leave your Review at the Books’s Page on the Store. *What Would a Muslim Say: Conversations, Questions, and Answers About Islam by Ahmed Lotfy Rashed. Price: Free. Genre: Non Fiction of the Day, Sponsor, Questions about Muslims, Reference, Conversations Q&A. Rated: 4 stars on 21 Reviews. 200 pages. ASIN: B01N7V28AK. Please Leave Your Review on the Book’s Amazon Page. Author KibetPosted on June 9, 2017 June 27, 2017 Categories UncategorizedLeave a comment on Get a Free Health Summary Book for Reviewing! *BREAK-YOUR-BUSY(epub), (Kindle). by Richard Conner aka Ricardo Rochilez. Genre: Self Help, Productiviy, Coaching & Mentorship. Rated: 5 stars on 3 Reviews. 148 pages. ASIN: B01L57GCEE. How would this book help people who read it? This is how it helped me. I now only work only 2/3 the time I used to before BYB. I have all but eliminated Busy Work from my life. I no longer feel the need for motivation or procrastination. I know what I’m doing and Why so get it done and enjoy the process. I waste much less money, time, energy and focus than when I was pandering to Busy Work. At least 80% of the work I actually do is what I call Real Work. I have more time, space and energy for idea generation, exploration and implementation. My mind is stronger, faster and more tuned to my creative instincts. I am more in control of my thoughts, feelings and emotions and use them to my creative advantage. I feel like I am giving more of myself to the world and living my gifts more authentically. I’m clear on the Why, How and What of both my work life and personal life. What life experiences helped you write this book? After 20 years of business, creative business at that, I felt I wasn’t living my life and my creativity was severely inhibited. After a very long deliberation period I eventually decided to quit my business and create space to really connect with what I wanted to do. I didn’t know I was going to write a book but that’s what started to come out of me. In fact this is only the first of the Work Life Wide Open series of books that I’ve written over the last year or so. The books themselves go into my life experiences in more detail. What should a reader do to get the most out of this book? What would you say is the biggest life lesson you’ve learnt? You must always keep working to find the truth about yourself, this takes a lot of what I call Inner Work as well as work that gets things done in the traditional sense in the external world. Honour your creativity in whatever form it decides to show itself. Know that it will change, develop and evolve. Do what you want, not what others, or your un-interrogated belief systems want you to do. I go deeper into this aspect in the second book in the Work Life Wide Open Series ‘The Seven Works – Reconfigure The Facets of Life’ which is launching over the next few weeks. What are some other books readers can read if they like this book and/or benefit from it? Of course I would suggest my Work Life Wide Open series as they are released. The second book in the series ‘The Seven Works – Reconfigure The Facets of Life’ which is launching over the next few weeks. It’s already available on Amazon but hasn’t been officially launched yet. Are these some relevant websites readers can visit after reading the book? I’m not really a website re-visitor. For a long time I didn’t surf the web in that way. I was always too busy! Now I pay more attention to social streams around topics and subjects of interest. I only occasionally go deeply into a subject so I’m really only skimming to keep my finger on the pulse of trends in technology, science, AI, robotics, spirituality and business, all of which are great indicators of incoming and ongoing change. I think this is mainly because I’m in a period of pushing my own thoughts, ideas and insights into the world rather than taking them in. Of course there is my blog ‘The Creative Core’ at www.richardjamesconner.com. I’ve identified it’s purpose and mission so to speak – ‘Change now. Unlock time and creativity’ – which I think sums up what my books and writing are all about. It dives into some of my background and starts to explore these foundational concepts I talk about and related insights and practices. It’s expanding all the time so definitely worth dipping in. What is the inspiration for you writing this book? My own discord and dissatisfaction with life which led to what I call a necessary Significant Life Change in order to reconnect with my self and life. In terms of inspiration, this book, as I’ve mentioned is really the first, gentle introduction to what is a large volume of work already written, in the process of editing and publication. What I’ve been amazed to see and experience is how the work and writing has taken on a life of its own. I gave it that chance by making space, creating a Work Vacuum for it to emerge. I didn’t know it would come out like this but it did. I followed the rabbit hole as they say and a series of books came out of the other end. It’s been a continual stream of inspiration and insight. Underlying it all is a common theme. I want to share useful concepts and practical steps to improve our life context and life context. It’s almost as if I can’t not do this now. It feels good, honest and authentic. Working on both aspects, the writing and the marketing so that my work is as accessible and useful to as many as possible is a great challenge and experience. It’s my Real Work of the moment.